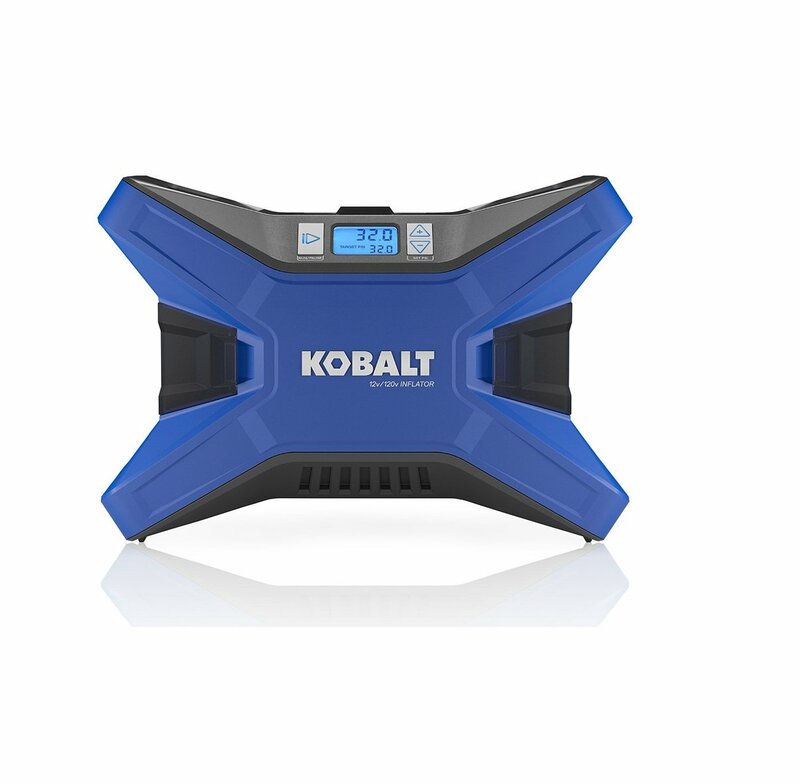 [EASY TO OPERATE ]: The digital tire inflator is easy to use. 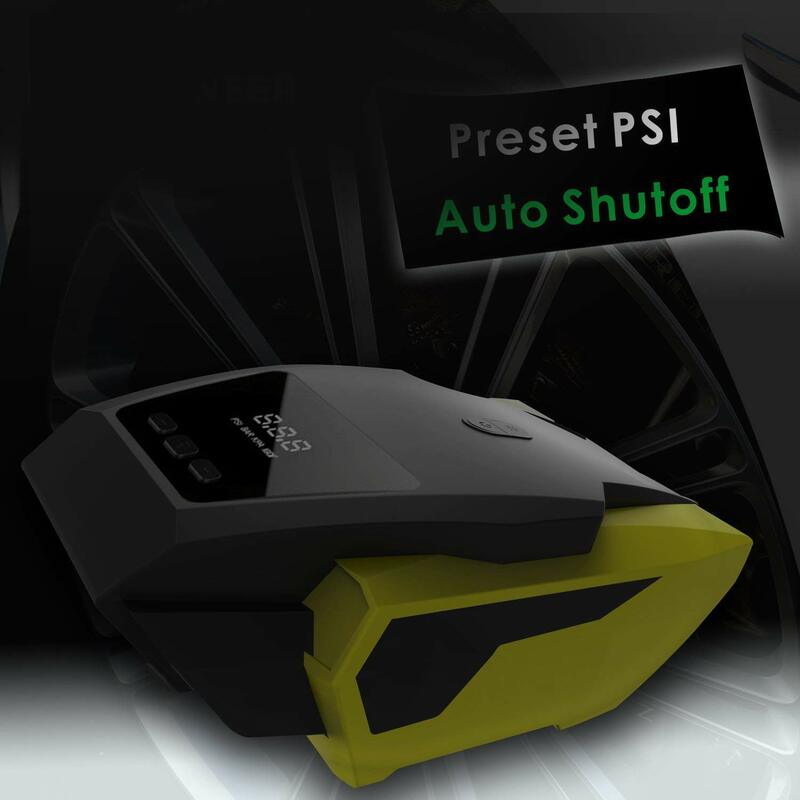 For on-the-go convenience simply set the desired pressure and press”on/ff” button,when the set pressure is reached, the air pump will shut off automatically, ensuring your tire will inflate completely to the desired PSI without over inflation. [BUILT WITH YOUR SAFETY IN MIND ]: Not all flate tires happen during the daylight, portable air pump equipped with a supper bright and long lasting high power LED light for night use,it will allow other cars and vehicles to see you on the side of road as well as illuminate the area you will need to be working while you inflate the tire.It’s also featured with LCD display tire gauge( Accuracy ±2 Psi) for easy and clear readout, current pressure will show on screen. 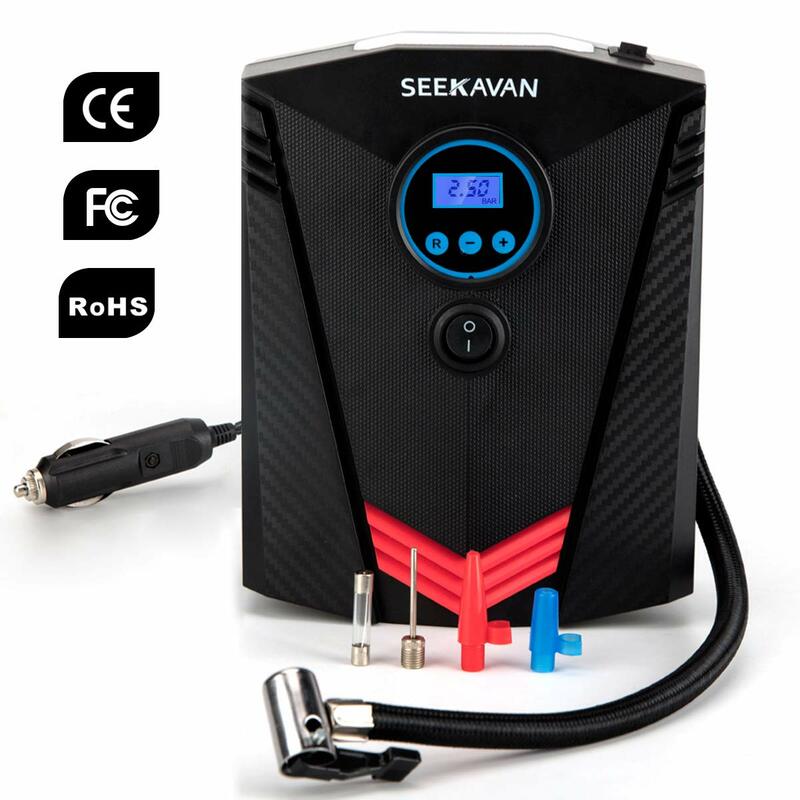 [MULTIPE USES]: digital tire inflator equipped with 3 different tips,the three different nozzle adapters work perfectly for many different kinds of tires and other items as well including bike tires, footballs, air mattress,camping equipments and other inflatables. 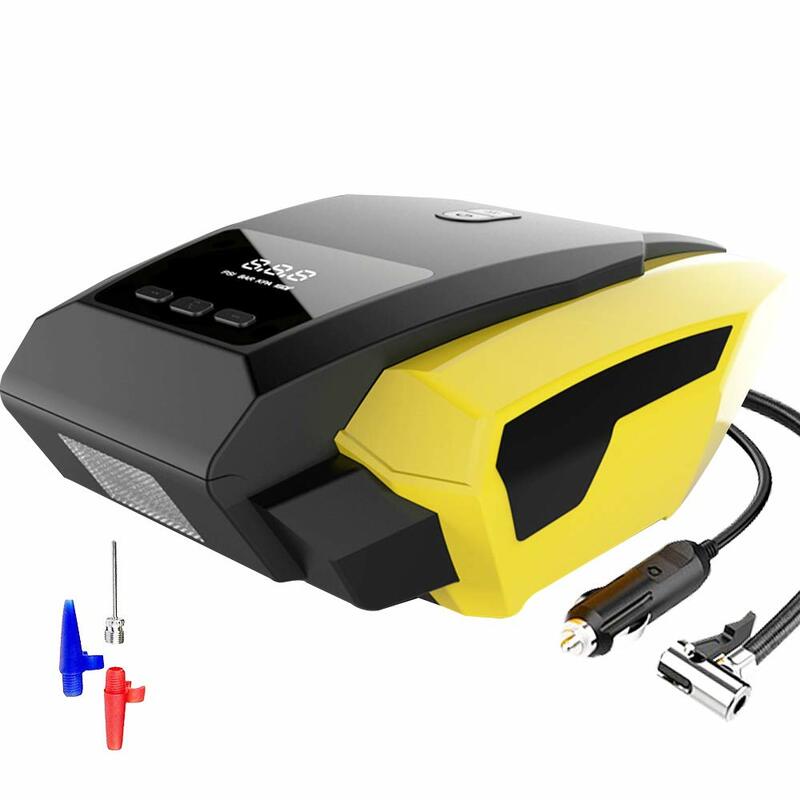 [EASY TO CARRY] : portable air inflator is small,compact and very handly ,it will come with a storage bag so then you can carry this air compressor pump around wherever you want. 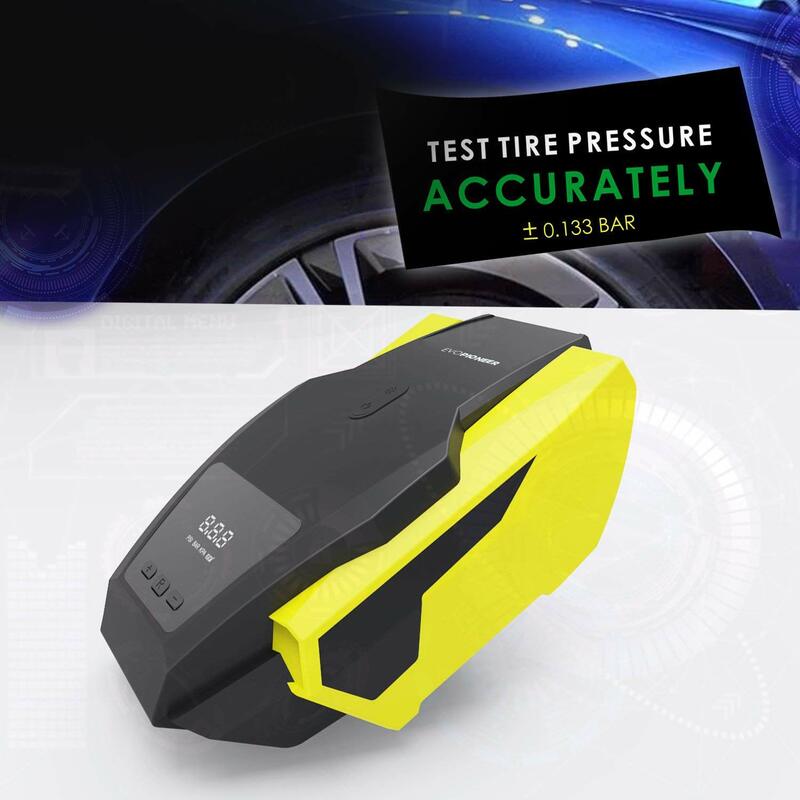 Test your tire pressure when never you want, helps you to ke enough air pressure for your tires,say goodbye to gas station,complicated device and tow trunk. [BUY NOW WITH CONFIDENCE] -We are a certified US Trademark and AMZ registry brand, we always provide Unconditional Satisfaction Guarantee - ABSOLUTELY NO RISK TO YOU!, which means that not only your precious belongings are protected,you purchases are guaranteed for satisfaction too. Add it to your cart now ! 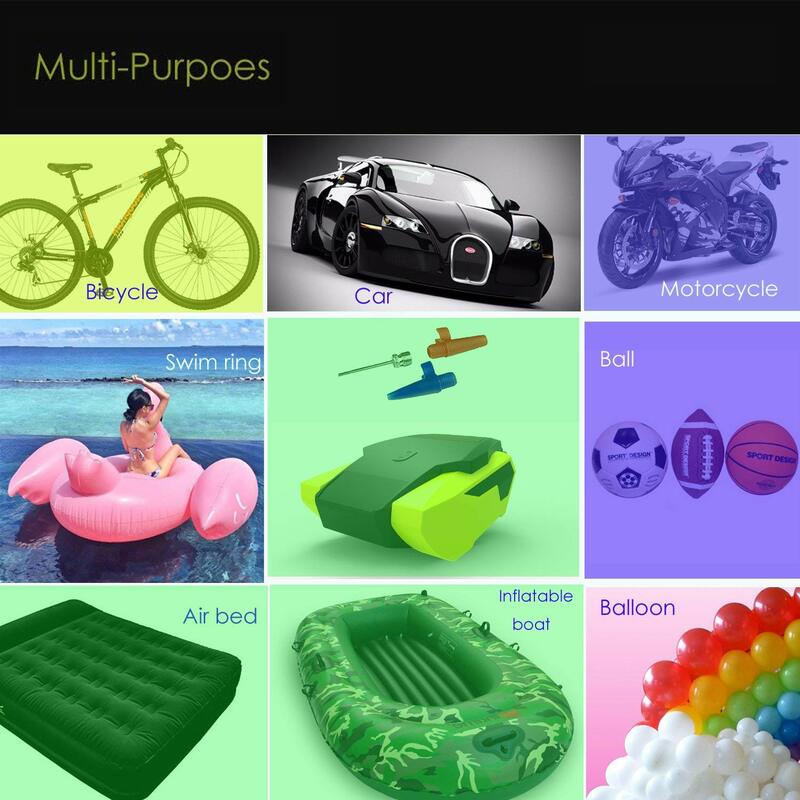 Why we have to ke this multi-purpose air compressor ? 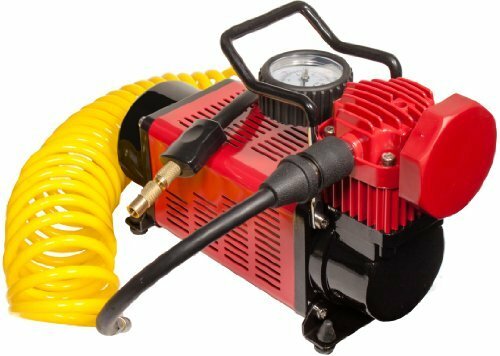 Tire inflator pump is a car maintenance expert. It’s the first st of car maintenance to maintain normal tire pressure. We should pay attention to the maintenance of good tires in our daily life, because maintain normal tire pressure is related our driving safety! So we think that the car is equipped with an inflatable pump is very necessary. Meanwhile, the tire pressure changes with the weather, so we can check the tire pressure through the portable air compressor on time, to ensure the tires should be inflated or deflated. It’s very convenient. 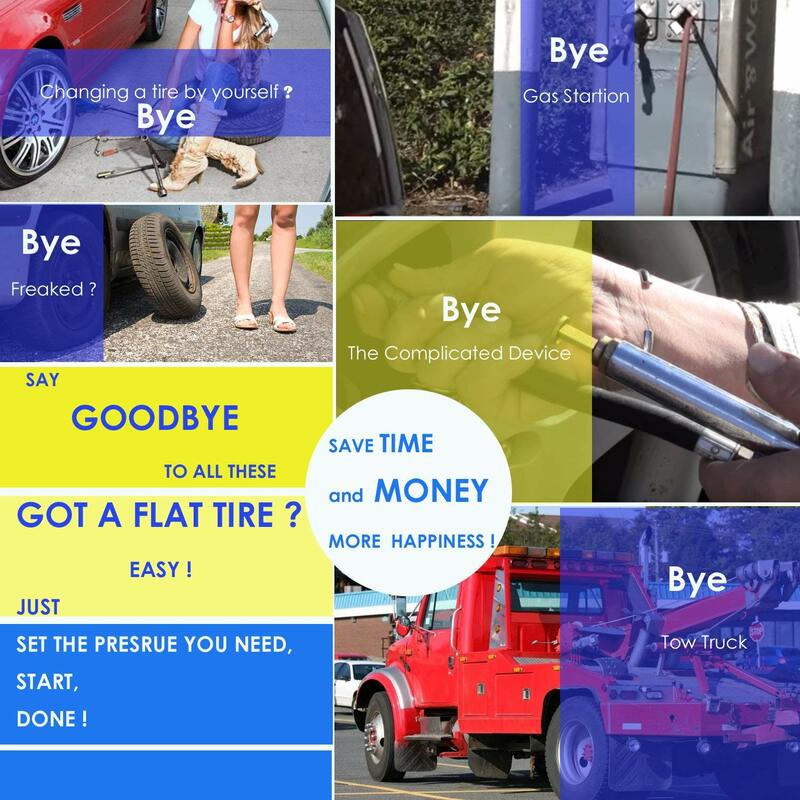 Whether you're traveling with an car, or with a bicycle, a flat tire is still a big problem. 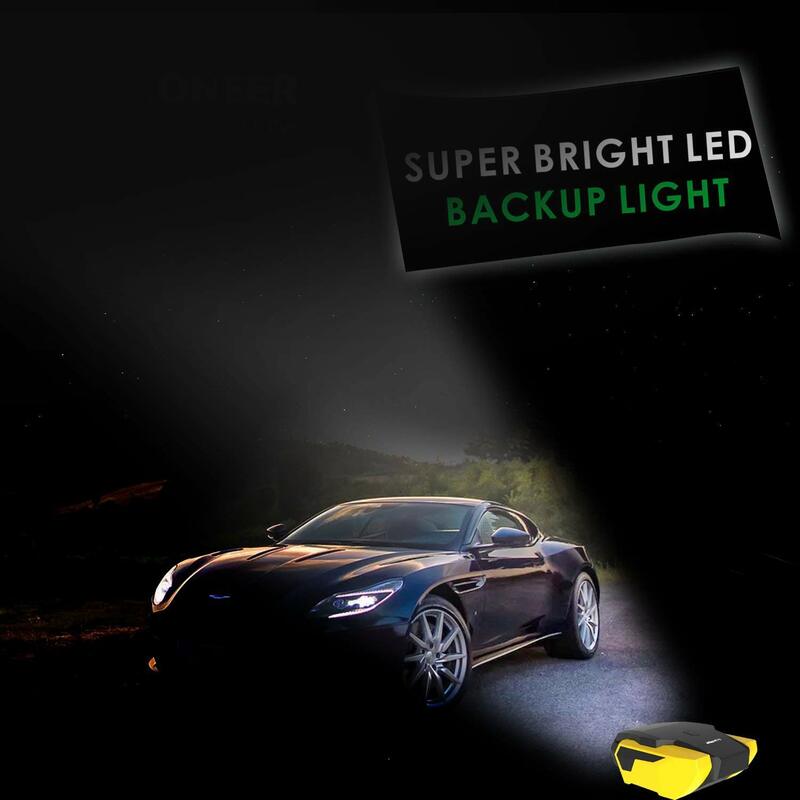 That's why we made our compressor compatible with any kind of tire. 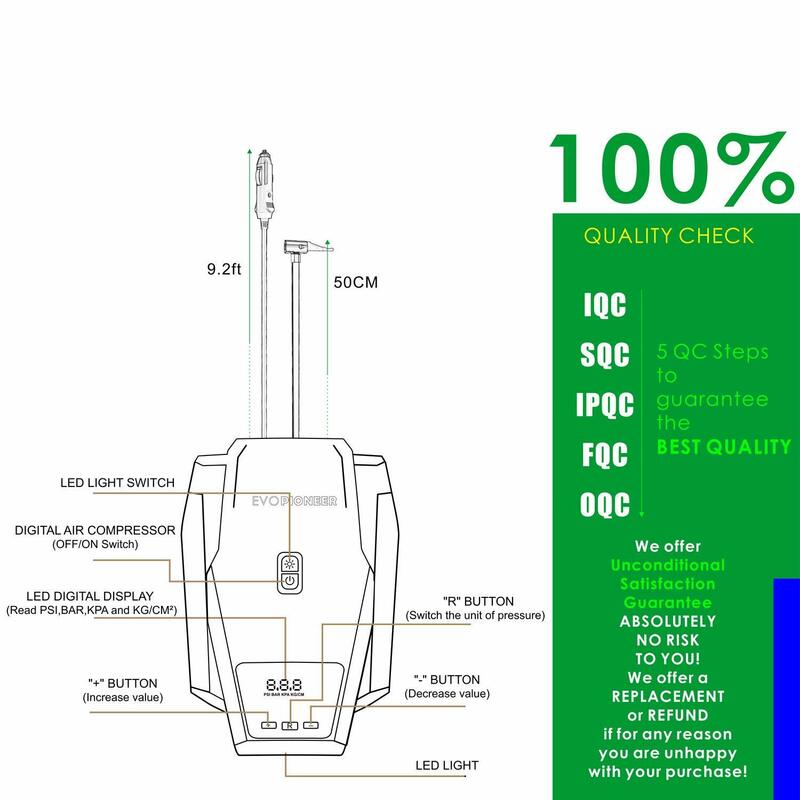 digital air pump is deserved for you ! Kind remind: It’s a tool for emergency use,please test it and make sure it works once you receive it.